Interesting Facts The Royal Serving Dish retailed for $4.95 and came with a cradle and decorated clear lid. “Beautiful, Useful, Always Welcome…Pyrex Gifts,” proclaimed a 1961 advertisement for the holiday season promotional items. The new Royal Serving Dish retailed for $4.95. 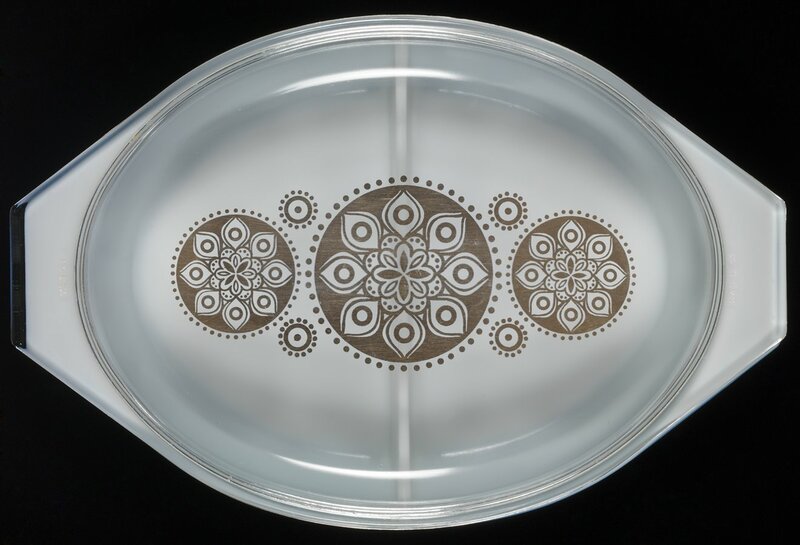 Included in this price were the 1½ quart Oval Divided Dish (063), a decorated clear lid and a cradle. The pattern was printed on a solid-color deep blue dish with a gold decorated lid of circular starbursts reminiscent of a church Rose window.